There are over 10,000 references in the scriptures to the name of God. Sometimes it is rendered as God, sometimes as Lord God, sometimes LORD (all caps), and sometimes Lord your God. In these instances and many, many more, a different name for God is being used in the original language. The Names of God Bible makes use of those original names in the original language as opposed to translating them into the customary reference. Names such as Elohim, Jehovah, El Shaddai, Adonai, and several others are used to identify the God of Israel in different instances to call to attention a specific aspect of God’s nature within the context. 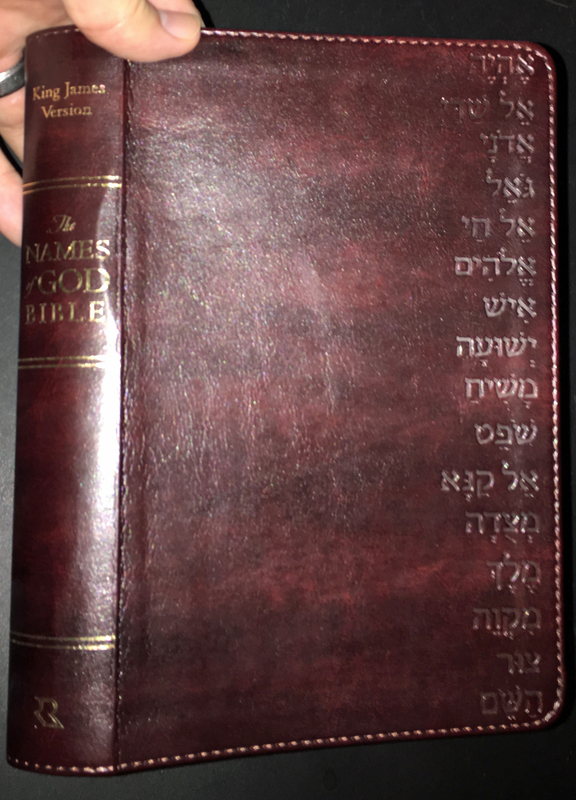 This King James Version of the scriptures leaves the original name in the text, making it easy to identify the specific context in which the name is being use. The layout of the text is beautiful. As the reader transitions from book to book, a complete listing of the names of God that are used within that book is found. 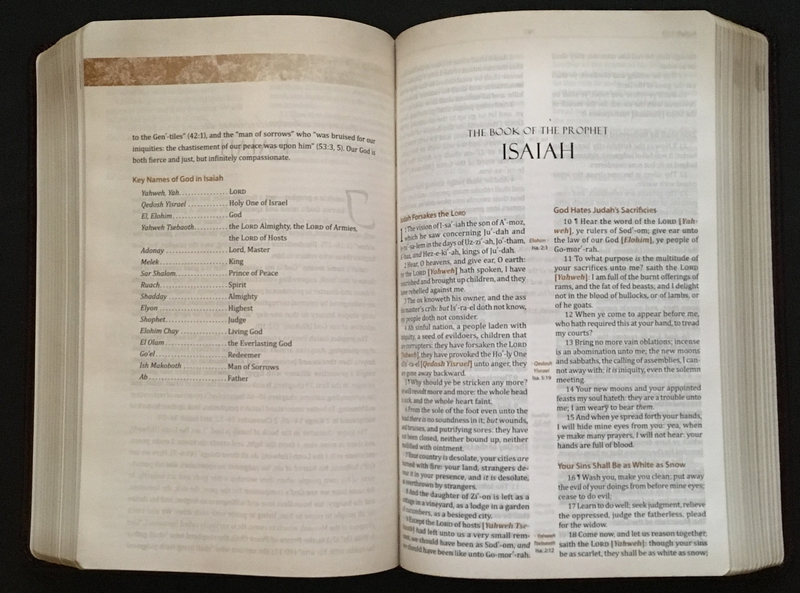 Isaiah opens by identifying 16 different names and their meanings that are used by the prophet. 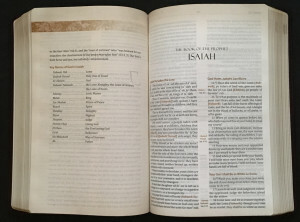 The words of Christ are printed in red and there are also references listed in a center column in the same fashion that you would see in the popular C.I. Scofield or Thompson Chain Reference Bible. Whereas, I prefer a larger text for reading. I find the text to be quite easy to read with the help of my reading glasses. Overall, this is a lovely publication and one that I am glad to have at my fingertips for reading and for research.